Reusing a bag as many times as possible helps the environment, nature and ultimately your health. 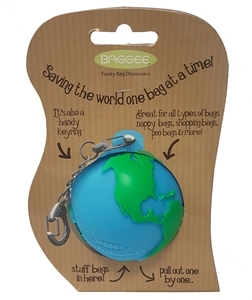 Stuff bags in your globe keyring and pull out one by one. Great for all types of bags, nappy bags, shopping bags, poo bags and more.